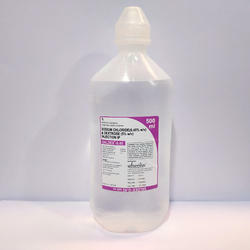 100% Export Oriented Unit of a wide range of products which include sodium chloride 0.9% & dextrose 5% injection ip, dextrose 10% w/v infusion, ciprosal infusion, dextrose 5% w/v infusions, compound sodium lactate injection ip and sodium chloride 0.45% w/v & dextrose 5% w/v injection. 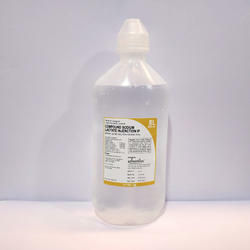 D.N.S Infusion is used for Blood and fluid loss, Low calcium levels, Treatment of insulin hypoglycemia, Intravenous infusion as carbohydrate source, Low potassium levels, Low sodium levels, Dehydration, Low calcium level, Carbohydrate depletion, Water replacement and other conditions. Dextrose is a form of glucose (sugar). 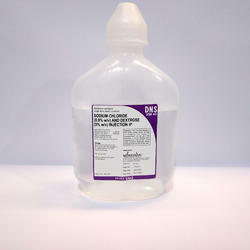 Dextrose 5% in water is injected into a vein through an IV to replace lost fluids and provide carbohydrates to the body. 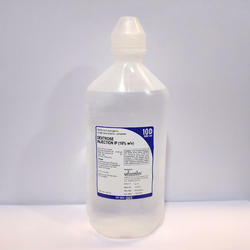 Dextrose 5% in water is used to treat low blood sugar (hypoglycemia), insulin shock, or dehydration (fluid loss). 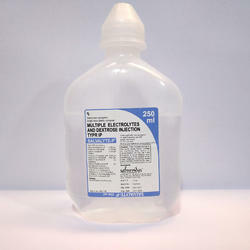 Dextrose 5% in water is also given for nutritional support to patients who are unable to eat because of illness, injury, or other medical condition. 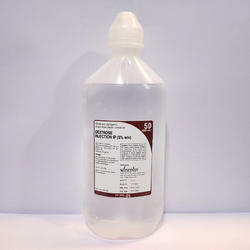 Sodium Chloride (Baxter) 0.45% Solution is a sterile solution used to treat low sodium levels and fluid loss (electrolyte and fluid replenishment). This medicine should be used with caution in patients with a known history of edema. Salvalyte-P Infusion is a sterile solution injected into a vein in your body. It provides your body with fluids containing various amounts of sugars when you are unable to drink enough liquids.